Since its inception, in the Fall of 2008, the Port Market has become home for Israeli farmers and producers. What began as a dream of brining a new culinary message to Israel is now the first and only indoor farmers market in Israel. 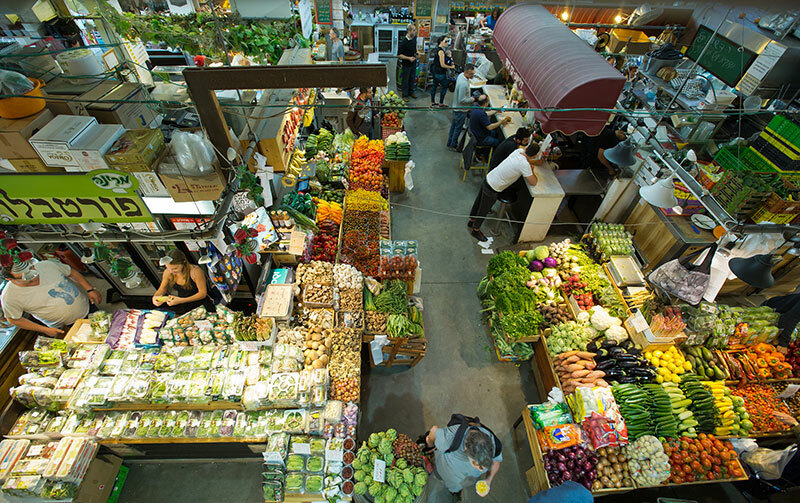 The location of the Port Market in an ecological building that overlooks a stunning view of the Tel-Aviv Port, along with the collection of quality stores offering local and international products has made the Port a genuine gastronomic wonderland. Ten years have passed since the Port Market opened its doors to foodies, becoming a healthy, tasty alternative to industrial food. The people behind the stores and booths at the Port Market are the culinary cultural leaders in Israel, offering every day premium meat, fish and fresh seafood, boutique cheeses, aromatic olive oil, olives and spreads, fresh pasta, handmade sausages, spices, legumes, beers and wine from around the world, bread and pastries baked on site, premium ingredients and of course unique vegetables and fruit. 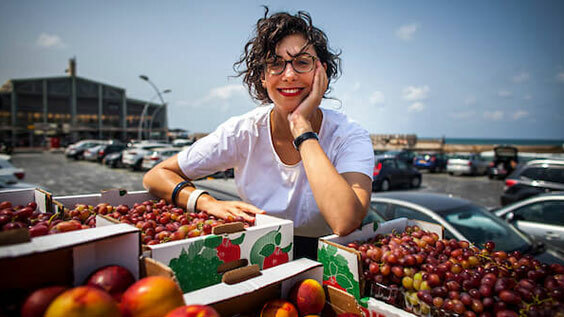 The farmers market celebrates Israeli agricultural produce, bringing to the forefront the people of the land who work hard for every seed, plant, grain, fruit and vegetable. Every morning, local, seasonal premium products arrive at the Port Market. We believe that the buyers, as food consumers, lack critical information about the food they consume. 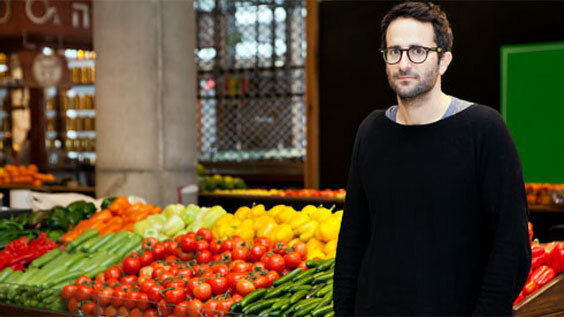 Behind the culinary venture is a vision to create a market inspired by various indoor markets in Europe combined with an ideology that advances slow food organization, which spearheads good, clean and fair products. 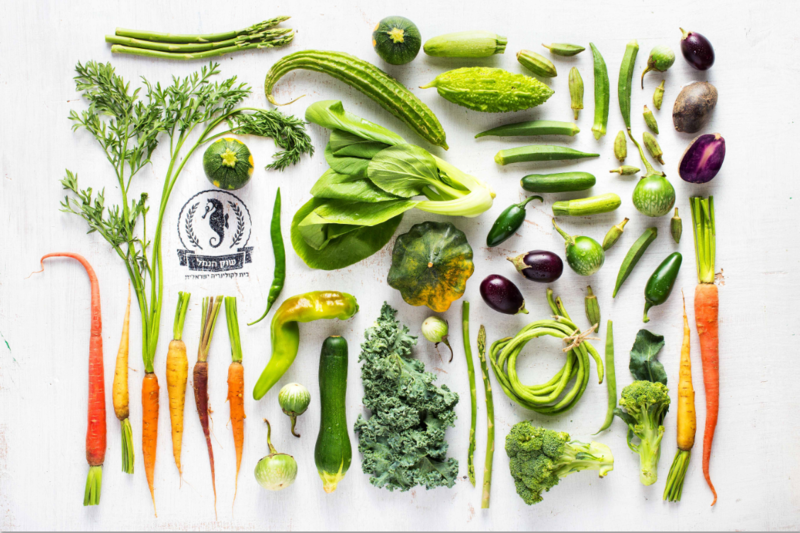 The agenda is green as well, emphasizing organic, seasonal and local products, while providing a response to the increasing demand for flavorful, quality and premium ingredients, have affected the spirit behind the market and the significant result in a unique culinary experience that it offers. Gastronomist, food journalist and television presenter. Judge on Master Chef and host of food programs on the Food Channel. BA in History from Tel-Aviv University. Masters Degree in Gastronomic Sciences and Quality Products from the Slow Food University of Gastronic Siences. Specializes in History of Food. Entrepreneur and chef. Graduate of the Cordon Bleu. BA in History and Philosophy from Tel-Aviv University. MBA in Business Administration from the Interdisciplinary Center Herzliya. Regularly wrote and cooked for Al Hashulchan magazine, edited and translated cook books and taught cooking workshops. 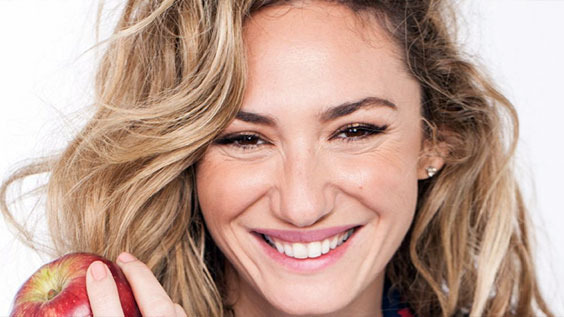 Entrepreneur and architect, graduated with honors from the Tel-Aviv University School of Architecture, owner of the architectural firm of Hemed Architects for the past eight years. Planner and designer of the flagship branches of Bank Hapoalim, retail chains of leading brands, food businesses, etc. Wide range of public and private projects.